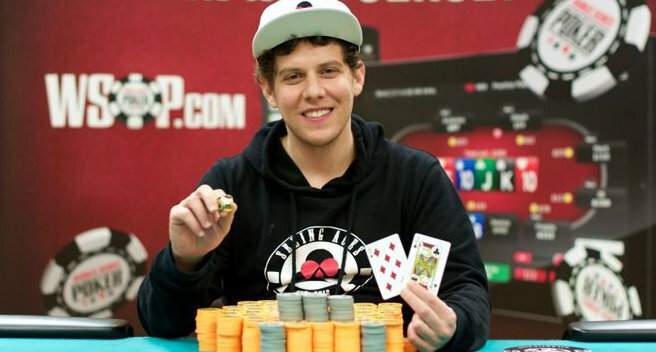 Ari Engel finished fourth in the 2016 Card Player Player of the Year race, making an incredible 17 POY-qualified final tables and cashing for more than $1.8 million along the way. The other players in the top five for last year’s POY race, winner David Peters, runner-up Fedor Holz, Justin Bonomo and Jake Schindler were all regulars on the super high roller scene. While they all had multiple final-table scores in tournaments with buy-ins of $50,000 or more, Engel achieved his ranking with only two final tables in $10,000 events and everything else at the mid-stakes. 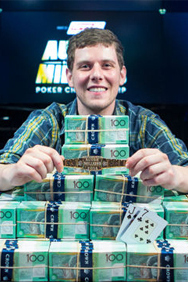 With his achievement, Engel secured himself as the king of the grinders, the end-boss of tours such as the World Series of Poker Circuit, the Heartland Poker Tour and of course the Card Player Poker Tour. This level of tournament, with buy-ins often ranging from $365 through $1,675, is often referred to as the mid-majors. Nobody in the world put more time into these tours in 2016 than Ari Engel, who has won eight WSOP Circuit gold rings and a HPT title. That makes Engel an ideal player to turn to for advice for novice and intermediate players who participate at this level of poker competition. Card Player: Players who aren’t ready to buy into high-stakes tournaments have more options than ever to play for big money at smaller buy-in price points. As someone who plays so many of these events and has done well in them, we thought you’d be the perfect person to talk to in regards to advice for players at this level who are looking to improve. Ari Engel: The first thing I would tell anybody is to think of your buy-in as already being spent. If you are thinking of playing a $1,000 tournament, you should only sign up if you are very comfortable saying, ‘I just lost a thousand dollars.’ That will make it easier to play. You need to separate, as much as possible, your on-the-table persona from your off-the-table persona. Off of the table, you should strive to be the player who is very conservative about which tournaments you play, while at the table it can often be better to be more free and aggressive. Let’s say you play a $300 tournament but you usually play only $100 or $50 tournaments. ‘I dunno about playing this, but I’m gonna take a shot and this isn’t that much bigger.’ Well, that’s all fine and dandy at the start of the tournament, but if you outlast 90 percent of the field and make the money, you have essentially survived to be playing a $3,000 tournament. When you make the final table, the average stack will be worth $10,000. So, in tournaments, the stakes naturally rise. You don’t need to take a shot at the beginning because if you survive to the business-end of a tournament it will be taking a shot for you! It makes a lot more sense to play lower if you think about it that way. Another thing I’d say is that you need to have a balanced and appropriate understanding of what your goals are in the tournament, as far as caring about making the money, moving up in pay jumps, surviving to ninth, eighth, etc. When some people say, ‘I play for the win only.’ That is strategically incorrect. The reason that so many top pros during the poker boom professed that approach was because, at the time, there were so many players taking it too far to the other extreme. They went overboard trying to survive and move up and cash. The natural tendency for amateurs is to do just that, but you want to try to have the right balance between survival and chip accumulation. CP: Do you find that non-professional players come into tournaments with unrealistic expectations? AE: You need to understand exactly what you are getting into. If you are playing a tournament where 15 or 10 percent of the field makes the money, that means that if you are the average player you are going to bust 85 to 90 percent of the time without making any money. If every time you bust you tell yourself that you are a failure and second guess yourself, you will be miserable, not enjoy playing and likely not make money as a result. You need to have a very healthy attitude about what you are getting into, which is a game of losing. In tournaments you lose most of the time, nine out of 10 times. When you do finally make the money, the most likely result is a small cash still, and that can still not feel satisfying if you are very competitive. I myself have had super successful years were I went to sleep almost every night tilted. That can take a toll on you mentally and physically if you don’t think about it carefully. The truth is that the best players in the world cash 18 percent of the time. So, would you stake Phil Ivey and be upset when he didn’t win every tournament? I’ve seen backers with unreal expectations, but most of the time people do the same thing to themselves. CP: Yeah, it makes sense that if people are playing tournaments they need to have reasonable expectations. If there are 100 players and you are the exact average player in terms of skill, then in the long run, you will win that tournament just one percent of the time. AE: Even if you are twice as skilled as the average player, which is hard to do, you still only win the tournament two percent of the time. CP: So as you said earlier balancing the impulse to survive with the need to be aggressive in tournament poker is important. At lower stakes, it seems like balancing preflop hand selection is another problem players have. Do you have any advice on that subject? AE: At the beginning of tournaments I find that less experienced players tend to be way too loose with their chips. They start with a lot of big blinds and they figure they can splash around. They’ll call a tight but good player’s big reraise with 8-7 suited, thinking that if they hit they can stack a player with an overpair. That whole approach is based on a huge lie. They aren’t gonna stack me when I have aces and the flop brings three hearts. On the other hand, as the tournament progresses people go into their shell. The same players who are too splashy early on, now when the money bubble is approaching and it would make some sense to be aggressive with less-than-premium hands, they fold too much. So, a lot of people do the exact opposite of what I’d recommend doing. They are loose early on and then too passive and tight when they have a chance to win a lot of pots more easily as the blinds and antes get bigger and other people are trying to survive to make the money.